Figue Mediterranean Restaurant (47-474 Washington Street in La Quinta, CA 92253 telephone: 760-698-9040), the new culinary gem in La Quinta, is joining other area restaurants in celebrating Palm Springs Restaurant Week, May 31 through June 16. 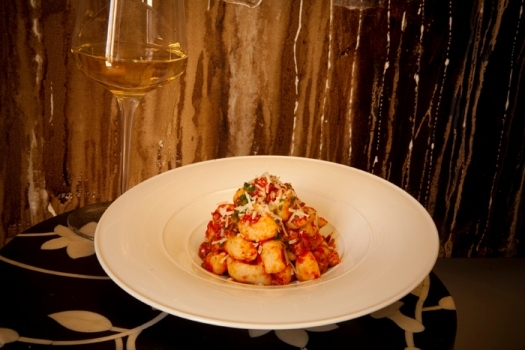 Figue will offer a special Three Course Rustic Italian Menu created by Executive Chef François de Mélogue. "We're very proud and humbled by the many rave reviews we've received from our guests since we opened in late March and we are thrilled to offer our inaugural Restaurant Week Menu," said owner Lee Morcus. "We have designed a unique experience with delicious flavors from the Mediterranean region and are featuring Italy in June with this special rustic Italian menu along with other Italian wine, cocktail and food programs including cooking classes with Executive Chef François de Mélogue. Everything at Figue is made from the finest, freshest organic, sustainable and primarily local ingredients that are at the peak of flavor and exceedingly delicious. Our Restaurant Week menu will give new guests a chance to become acquainted with the Figue experience at a very reasonable price." 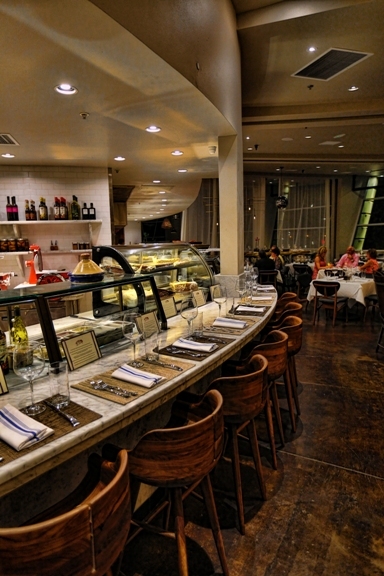 Figue's Restaurant Week Menu starts with a choice of four Small Plates. Choose from Garden Vegetable Panzanella, an Italian Summer Salad of Tomatoes, Sweet Peppers, Celery and Young Carrots; Seafood Bruschetta, with Calamari, Bay Shrimp and Bay Scallops served over grilled Italian Country Bread; Chicken and Ricotta Polpettine, chicken and ricotta meatballs simmered in San Marzano sauce; and San Daniele Steamed Mussels, PEI Mussels steamed with Caramelized Onions and Prosciutto. The second course features a selection of specially chosen Big Plates (entrées). Choices include Gnocchi Tocco Di Carne, potato dumplings, pork & porcini sauce; Tuscan Fish and Shellfish Stew, with codfish, clams, mussels and shrimp simmered in a tomato-vegetable sauce; Shaved Pork with Summer Fruits, spit roasted pork with arugula, plums and cantaloupe; and Spit Roasted Chicken with charred corn fregula and honey balsamic glaze. The menu concludes in spectacular fashion with choice of desserts: Citrus Panna Cotta with Organic Cherries; Pistachio, Olive Oil and Fig Cake or Chocolate and Hazelnut Bombolinis. Those who would like to enjoy perfectly paired wines to go with each of their courses, there are two levels of wine pairings to accommodate. The price of the Three-Course Restaurant Week Menu is $38 per person. Wine pairings are priced at $15 or $25. Figue's seasonal dinner menu also will be available during Restaurant Week. Learn more by visiting EatFigue.com.